This past few weeks have been incredible! Cannon balls! I’m so incredibly excited that my dream has come to life! I wanted to create my own product line for a few years now and finally it is come to fruition! I wanted to create A healthy alternative to traditional protein bar or protein cookie And even more so I wanted to create a product that can help kick people off of sugar! 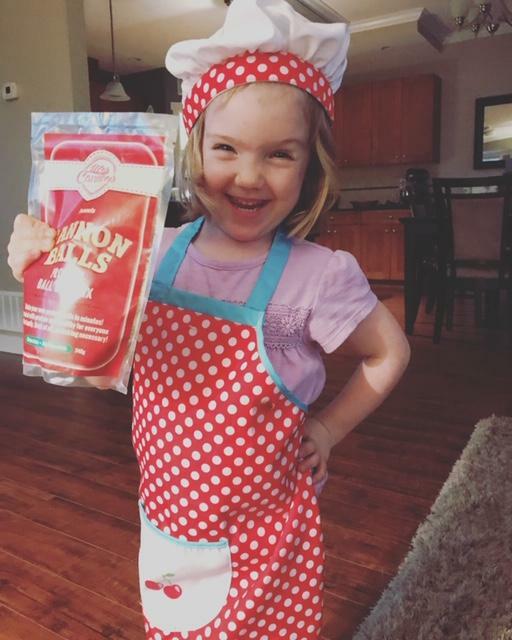 Also having a product that is super easy for anyone to make and no baking required whatsoever! 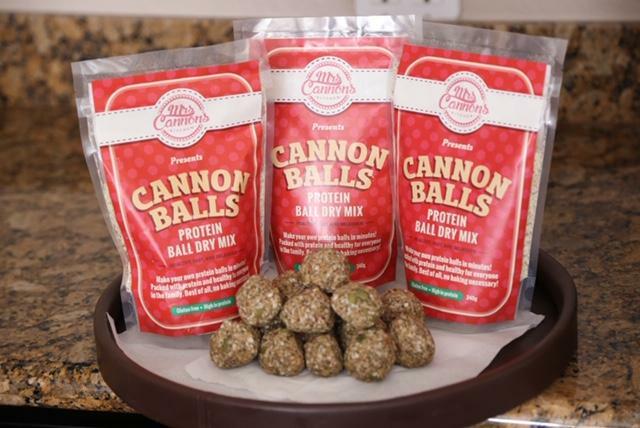 Plus the bonus of these babies… one bag makes 24 balls with each ball containing approximately 6 g of protein and less than 1gram of sugar per ball! BOOM! Plus They are totally customizable! Super delious on there own but if you want to you can add anything you want! Like chocolate chips, coconut flakes, cranberries, you name it you can add it ! 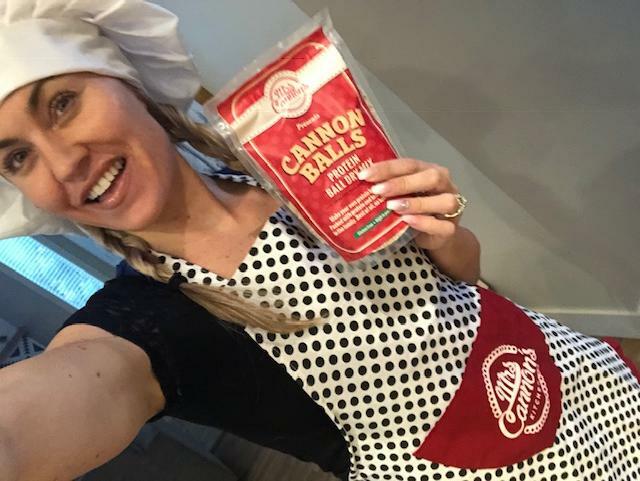 Here’s a video on how to make my protein balls! Please Like and subscribe to my UTube channel ! If your looking for a bag try these locations! What a weekend…I look forward to this weekend the entire year! The weekend a year where I dont count my macros, worry about anything, enjoy every moment I can and share all the beauty of wine country (Okanagan BC) with my best friend. We pre plan are outfits, plan what winery’s we will hit up and of course plan what yummy meals were going to devour lol!! From laughing our a$$ ‘s off to getting tattoos … yes I got a tiny piece of pizza on my foot it was a total blast! I feel being a fitness model you should showcase all acts of your life. I am real I do enjoy pizza, wine and not working out sometimes, this is called NORMAL. Its healthy to let go and not count all the calories and not worry about staying on program. I feel a “free weekend” once and a while recharges my mind set. Im not saying do this all the time but I do feel its good to have your “free” meal or drink once a week, enjoy it and not feel guilty or down on yourself. Stop and smell the roses once and a while. Fall is definitely here! And man do I ever love it! I know I said before but it is most definitely, my favourite time of year!!! Especially the fashion! I can’t get enough of scarfs, cute boots, hats, you name it I want to wear it all! If you have you been following me on social media you’ll know that I just got back from Las Vegas Olympia with my team Magnum Nutraceuticals. It was a crazy awesome trip! With a total of six photo shoots,two days of the expo and followed up with an incredible pool party and team dinner! So much fun and so many great new friends and old ones to connect with! I love our team! For the team dinners I absolutely love my off the shoulder white dress from Ami club where! So comfortable and super easy to wear. Classy and cute all in one! For our second team dinner I chose my new lace beige dress. This one I absolutely love and I paired it with heels that I purchased from Ami club where last month, the outfit went together perfectly! Talk about the perfect Vegas here come on you can’t go wrong! For the coming weekend my best friend and I are headed to our annual Wine Tour in the Okanagan. 5 days of pre-plan our outfits for this trip LOL So definitely check back soon because I will be Vlogging and blogging about this trip! Here’s a little sneak peek of what shoes I’m for sure going to incorporate in my outfits this weekend as well ! Wow I can not believe its August already!!! Where has this year gone to already? What a last few weeks its been!